In the warm weather, you can find children playing in rivers and lakes, splashing around in the clean water, all across Maine. We shouldn’t take that for granted. Fifty years ago our waterways were so polluted that most of them had a film layer on top and a noxious odor. We enjoy the pristine condition of Maine’s waterways today because of the Clean Water Act, written by Maine’s own U.S. Sen. Edmund S. Muskie. Muskie grew up in Rumford, a town along the Androscoggin River, so he was familiar with the river’s condition. It was the same as many other rivers like the Saco, Kennebec, and Penobscot — dirty, polluted, and stinky thanks to the pollution from factories and mills along their shores. Muskie worked hard to pass the Clean Water Act of 1972, earning him the nickname Mr. Clean. This landmark national bill barred any discharge of pollutants into navigable waters from a point source, such as a factory pipe, without a permit. We saw a change in our waterways from that point on. However, rivers like the Androscoggin still need our help and protection today. The U.S. Environmental Protection Agency plans to drastically roll back Clean Water Rule protections from vast networks of streams and wetlands in Maine and across the country. The health of Sebago Lake, the Penobscot River, and many other bodies of water depends on the streams that feed them and the wetlands that filter out pollution. These waterways are critical for agriculture, healthy communities, our economy, and our way of life. The new rule would replace the 2015 Clean Water Rule, which restored federal protections to 55 percent of Maine’s streams, which feed waterways like Sebago Lake, and help provide drinking water to 454,360 Mainers. This outrageous proposal upends the core mission of the EPA: protecting human health and the environment. The “Dirty Water Rule” is the most extreme attack on clean water in recent memory. By stripping federal protections from streams and wetlands, it would put our waterways and our drinking water at risk of pollution. It defies common sense, sound science, and the will of Mainers. These streams and wetlands also are home to endangered species such as the Blanding’s turtle, ringed boghaunter dragonfly, sedge wren, black tern and English sundew. These already vulnerable species could now be exposed to pollution and toxic chemicals. Wetlands are also nurseries for migratory fish species. As young fish they are more vulnerable to toxic chemicals in the water and it could cause a dramatic decrease in their population. More than a thousand scientific studies and a million Americans – including 4,844 Mainers – backed protections for these waterways. As stewards of our environment, it is our moral obligation to protect our Maine waters. For the sake of our ecosystem, our way of life, and our own drinking water, we must stop the EPA from opening our waterways to polluters. 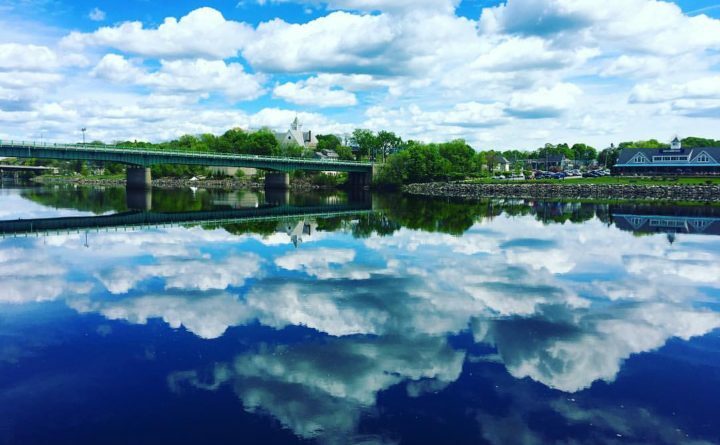 Water is a part of Maine’s heritage including lakes, streams, wetlands, rivers, or bays. Many Mainers grew up near water and remember fondly the changes that ensued after the Clean Water Act was put in place. Muskie was thinking of his home when created the Clean Water Act and now we need to follow in his footsteps. If we don’t stand up against the “Dirty Water Rule,” we are taking a step backwards and putting our streams and wetlands in danger of chemical dumping and pollution. This is not the Maine way of life, and we need to make that clear to the EPA. Carissa Maurin is the state director of Environment Maine and lives in Biddeford.